If you stay onsite at a Disneyland Resort Hotel, you get an extra magic morning every day. This alternates between parks. There are some exclusive benefits – if the magic morning is at California adventure, you can go on the Radiator Springs Racers ride in that first hour. This is only for hotel guests. If you have a hopper pass that includes one magic morning, you can get into the park early, but you can’t go on the Radiator Springs Racers until the park opens to the public. There are also random meet and greets with Disney Characters in the hotel lobby – and no lineups. The Grand Californian hotel has direct entry into California Adventure park – again no lineups to get into the park in the morning and very easy to go back to the hotel if you need a change of clothes, a nap, a swim or a break from the crowds. The Grand Californian hotel is currently undergoing some renovations and the Whitewater Raft casual dining/takeaway restaurant is closed. They serve pastries, fruit, yogurt and coffee in the Hearthstone lounge as an alternative in the mornings. Coffee is complimentary to hotel guests and breakfast of pastries, fruit and yogurt for 5 of us was usually $25 – a pretty good deal. Even if you are not a morning person – it’s worth the early wake up call to get to the parks early. The morning is the best time at the parks – it’s not busy, there are no lineups and you can go on a lot of rides or meet a lot of characters in a short amount of time. The afternoons and evenings get a lot busier. As an example, we went right to the Fantasy Fair to meet the princesses at 8am and we only waited 10 minutes. Later in the day, it was over an hour. You can get on Big Thunder Mountain, the Haunted Mansion or Splash Mountain with only a few minutes wait for the first hour…maybe two. After that it would often be an hour or longer for a wait. If there are popular rides that do not offer a FastPass option, do those first. You can always get a FastPass for popular rides, so you can experience them without waiting later in the day. Big Thunder Mountain, Space Mountain, Haunted Mansion, Splash Mountain, Radiator Springs Racers, Guardians of the Galaxy – Mission: BREAKOUT!, Incredicoaster, etc….all offer Fast Passes and we found the Fast Passes via the MaxPass to be plentiful. Rides like Pirates of the Caribbean and Peter Pan’s Flight do not offer a Fast Pass option. We could ride Pirates twice with no wait at all first thing in the morning. By lunch time it was an hour wait and by dinner time it was almost a two hour wait….with no possibility of a FastPass. Have a plan. I’ve mentioned it before, but it really is important to make the most of your time. Know which area of the park you want to do first and which ride you want to get a FastPass for and which one you want to go on before it lines up. Know where and when you are going for lunch so you don’t waste time looking for a restaurant that you like and waiting in long lineups to order food…either use the mobile food order or make a dining reservation in advance. If you want special dining options, character dining, large group dining, etc…book well in advance as popular ones fill up fast. Even if you want a regular dining reservation, don’t expect to make a reservation on short notice or to walk up and get in. Restaurants are often full and there was usually a 30-60 minute wait for a table without a reservation. Finding ways to avoid lineups is key to making the most of your time. If you are up for a later night, rides are often quieter during parades/Fantasmic show times and for the last hour or two that the parks are open. We were able to walk right on rides at the end of the night – same as we could first thing in the morning. Spending the extra few dollars on the “park hopper” option for the parks is well worth it. If you only have a few days and want to make the most of your time, it’s great to be able to go between the parks. The parks are right next to each other, so hopping is very quick and easy. Our last day was a prime example of why you would want to do this. We made a list of all of our favorite attractions that we wanted to do “one last time” on our last day. We started our day at 7am in California Adventure Park for our Magic Hour. We were able to go on the Radiator Springs Racers, Mater’s Junkyard Jamboree , Luigi’s Rollickin’ Roadsters and get some family Photo Pass photos taken with the Cars Characters all by 8am. At that point, we headed across to Disneyland Park for opening and were able to go on Pirates of the Caribbean, Big Thunder Mountain, Splash Mountain and the Jungle Cruise all by 10am. We headed back to California adventure for a 1040am fast pass at Guardians of the Galaxy…a full day’s worth of fun that we managed to fit in before lunch time. That meant during the busy afternoon hours, we could head back to the hotel for a swim and a nap and return with fresh kids for Toy Story Midway Mania and Radiator Springs Racers FastPasses, dinner at Wine Country and ended the night with a few more rides when the lineups died down during the parade. If you have questions about Disneyland or would like to start planning your own magical getaway please reach out to our team! They would love to help get you on your way. It has been 4 years since I was last at Disneyland. This time I wanted to make sure that we weren’t always waiting in line to get into a restaurant or to order food. That was one thing I remember from last time as being a frustrating experience. Disneyland dining reservations open 60 days beforehand. You can make dining reservations either via the My Disney Experience app, their website or by phone. I used the app to make dining reservations the full 60 days prior. It’s very quick and easy and it allows you to select restaurants in your budget, with menus that you know your family will enjoy. I made at least one reservation per day, sometimes two. It helped us to have a plan and to make sure that when our kids (and their mom) were hungry and cranky, that we had a place to sit down, eat and rest without waiting in line. La Brea Bakery in downtown Disney – my daughter says this was the best grilled cheese she has ever had, lots of kid friendly items and good burgers (chicken and beef) as well as homemade soup in bread bowls. Casual and friendly. Ralph Brennan’s Jazz Kitchen for my birthday dinner – New Orleans inspired in Downtown Disney. Service was great as was the food….the appetizer platter was our favourite. Lamplight Lounge – a must try. It is new and is located where Ariel’s Grotto used to be in California Adventure. It is Toy Story themed to go with the new Pixar Pier and again the food, setting and service was great. The Lobster Nachos and Piggy Wings are a must. Food is pub-style and they serve alcohol as well….for those tired and cranky parents. Tortilla Joes in downtown Disney – gives a discount for those staying at a Disney hotel. Mexican food, really good nachos, quesadillas and tacos. Carnation Cafe…a hidden Gem on Mainstreet in Disneyland park. Awesome burgers – huge and homemade. Lunch for 5 of us was about $60 US, which is a steal in Disneyland and I thought it was one of the better lunches we had. The fried chicken is also supposed to be good here, but we didn’t try it this time. Wine Country Trattoria in California Adventure was a great spot for a nicer dinner. Italian, nice wine list, good options for kids with spaghetti and pizza. They accommodated a group of 9 no problem and the food was very good. The bruschetta, caprese salad and linguine vongole were my favorite. It is pretty reasonable as well for a slightly upgraded dining experience. We also had two special dining experiences. We chose to keep to more budget restaurants for most meals so that we could splurge on a couple of unique experiences. Our first morning found us at Storeytellers Cafe at Disney’s Grand Californian hotel. We had a buffet breakfast with Mickey and Friends. The looks on the kids faces when they got to meet the characters was priceless….and having the characters come to your table saved us hours of waiting in line at the parks. The food was good with plenty of options and good service. They didn’t rush you and you got lots of time with Mickey and friends. It was roughly $38 US for adults and $25 US for kids. We wanted to get preferred seating to Fantasmic and the most economical way to do that was to have the dinner/show combo at the Hungry Bear restaurant in Disneyland. We picked our time for dinner and when we arrived, we had a separate line up (no waiting) and we could pick off a special menu or the regular menu. The kids all picked the chicken fingers off the regular menu and Mark and I had the Blackberry BBQ Ribs with rice and salad. The food was good, the setting was nice (lots of tables available) and the best part – front row seating (on the ground, not chairs) for the Fantasmic 9pm performance. This meal/dinner combo was about $130 USD total for 5 of us and well worth the bit extra. Something else that is new via the My Disney Experience app is mobile food ordering. We didn’t try it, but I wish we had. We waited in line for lunch for about 20 minutes at the Pacific Wharf Cafe (all restaurants were lined up at lunch), but as we waited, there was a steady stream of people coming in and picking up orders with no wait. It would definitely be worthwhile trying and it is free to order through the app. You pick your restaurant and pick up time and items and I believe you have to pre pay with a credit card. My final two suggestions for dining at Disney – have a plan and budget accordingly. Food and drinks are not inexpensive but if you are prepared and know what you want to spend and pick restaurants accordingly, you will be a big step ahead. Also, my oldest is 10 and with the exception of the Character buffet, she was able to order off the kids menu. We just asked for three kids menus and no one asked or questioned. She doesn’t eat enough to order off the adult menu, so that worked well and saved us a few dollars. Want to start planning your own magical vacation? Call us to speak with one of our Disney loving agents today! Disney MaxPass…..where do I begin? I am in LOVE with the new Disney MaxPass. It has helped us to make the most of our 5 day Disneyland family vacation. Disney introduced the MaxPass earlier this year. It works in conjunction with the Disneyland app and for $10 per person, per day; you get unlimited photo pass photos (from photographers, rides, etc) as well it allows you to add fast passes on your phone. I’m not sure of the exact rhyme or reason, I haven’t been able to work it out yet, but it allows you to almost always have more than one fast pass at a time – I have had up to three….this wasn’t possible with the old paper fast passes. If I wasn’t able to add the 2nd or third right away, I was able to add them within a short time frame. For example I added a Radiator Springs Racers FastPass at 11am for an 830pm ride. At 1215pm it let me add a FastPass for Toy Story Midway Mania for a 515pm ride and at 3pm it let me add a FastPass for Guardians of the Galaxy – Mission: Breakout! for a 9pm ride. With the paper FastPasses, I believe I would have only been able to have the first one until 830pm when our time came to get another one. The weekend was very busy at Disneyland with ride wait times of 75 to 100 minutes on most of the popular rides. We went on rides almost continually throughout the morning and later afternoon/evening (nap breaks in the middle!) and we never waited more than 10 or 15 minutes for a ride. The fast passes, combined with the app letting you know current wait times on rides worked amazingly well for time management. The My Disney Experience app is free – everyone should have this app installed. access to your FastPasses if you have the MaxPass. The MaxPass for the extra $10/person per day gets you unlimited FastPasses and unlimited free photos. The photos are typically $10 per photo to download. My family of 5 was $50 US per day but it saved us HOURS of waiting in line and in running around the park trying to see what FastPasses we could get. With two 3 year olds, this was priceless! We would get in the FastPass line for a ride, while we were in line, I would add the next FastPass on my phone, when we got off the ride, I would look at the online map to see what had a short line to fill time until our next FastPass ride. It was “magical”. To date, we also have 32 photopass photos – for free – a $320 value. MaxPass gets two thumbs up from me! The one issue we had with MaxPass is one day the app was only showing 1 of the 5 of us in the park. You have to be in the park to add the MaxPass in the morning. I asked guest services, they sent me to city hall where there was quite a lineup. When I got up to the front, they said our tickets were not scanned properly at the gate. They rescanned them and gave us the MaxPass for free that day….we lost about a half hour, but I was happy with their service in the end – very Disney-like! Tip – they said if we noticed while we were near the gate that it wasn’t showing all of us in the park, they could have rescanned our tickets at the gate instead of waiting in line at city hall. 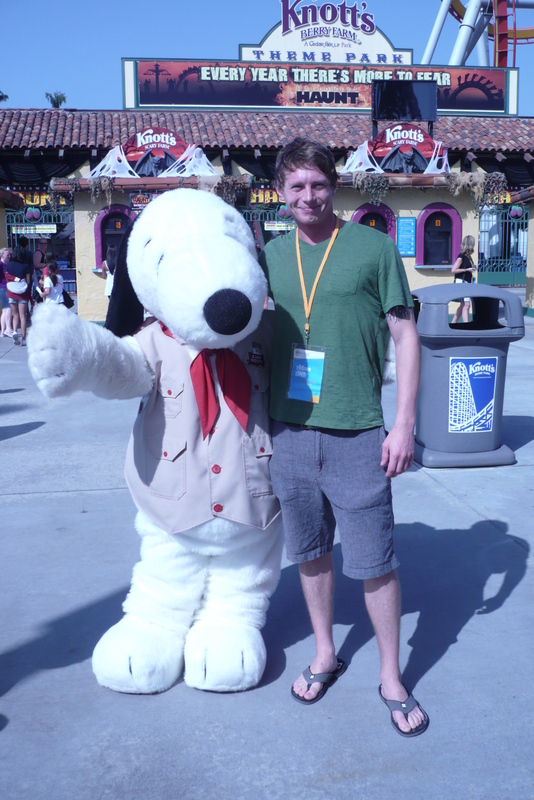 In 2007 when I was a shiny new travel agent I flew to Walt Disney World via Minneapolis. Since then I never had a reason to have to fly through this major hub. Five years ago I thought this was an outstanding airport as I did the Home Alone Dash from one gate to the next to make my connection and guess what? I was TOTALLY right. Although there are most likely thousands of people milling about I really don’t feel crowded or like I am in the way. There is not just some shopping like I’ve found in other major airports, there is SHOPPING. A mall area with the high end items and duty free that you expect in an airport as well as surprises that I may check out in a bit like The Body Shop. If shopping isn’t your thing well then eat! The food court had options for all tastes from Arbys and Burger King to Sushi to bakeries to countless sit down pubs and lounges. Too bad it’s so early, I would have had 5 lunches for sure! I do recommend visiting Caribou Coffee as a delightful alternative to Starbucks. My turtle mocha “zebra” style with both dark and white chocolate is unreal! Compared to my surprisingly enjoyable visit to Denver (another major hub) earlier this year this is a palace of an airport! Ultimately, the point is that I can honestly say that if I could choose my flights purely based on their layovers MSP would be my #1 choice every single time! 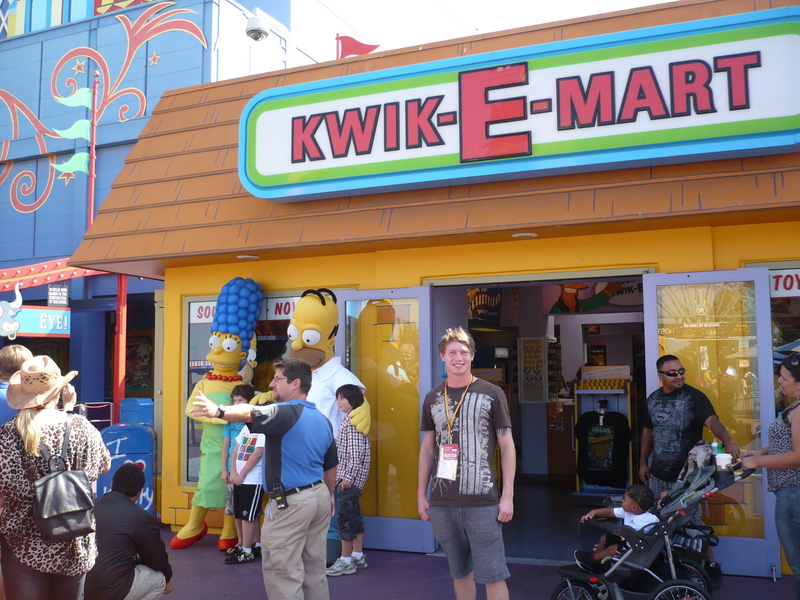 So here I am on my Anaheim OC Visitors and Convention Buerro Familiarization trip. What is a Familiarization trip you ask? It’s a trip that travel agents go on to become more familiar with a destination, do hotel tours etc. It is actually a lot more work than it sounds although I have a feeling this particular trip will be a blast. Tonight we met for a cocktail party and some bowling with various suppliers in the area. We had a blast getting to know each other and I got to show off my mad bowling skills. Afterwards some of the other agents and I, who were all staying at the Marriott, stopped by the concierge lounge for dessert before heading to bed. I love hotels that offer concierge lounges for their higher floors (I’m on floor 18 of 19). It’s great to be able to stop by and grab some fruit, a snack, or your morning coffee. The lounge is only open on weekdays though which is too bad, I feel as though I will be wanting to stop in on Saturday after my Disney day. After a hotel tour and breakfast at the gorgeous Hilton we piled into a bus and headed down to Universal Studios. We arrived and received our passes then rode at least 4 or 5 escalators down to the lower level of the park (what’s up with this park being placed both on the top and bottom of a mountain??) to ride the brand new Transformers ride . This ride was unreal. Even though you know it’s all fake I honestly covered my head as a car came flying through the air towards me. These types of rides are to blame for my intolerance of 3D movies at the Galaxy. It’s just not even close to real enough. I really enjoyed the attractions I saw at Universal Studios, even the “Tram-tastic” back lot tour, although it is very long (like 40 minutes). It is a really small park though, with only a handful of big ticket attractions so it is not a whole day excursion in my opinion. We visited a mall called the South Coast Plaza this afternoon. It was beautiful but very high end. From there we traveled to Huntington Beach to do a tour of the Hilton there, have an amazing supper and then have s’mores on the beach. What a great experience. There are tons of fire pits along Huntington Beach that you can use (assuming they’re available, apparently in the summer you would have to reserve it early in the morning. If you’re staying at the Hilton they can arrange the whole thing for you of course). If you’re planning a trip to California and want to spend some time by the beach this seemed like a really nice area to visit. One of my friends on the tour thought he may even get married there! Once we returned to Anaheim a few from our group decided to go out for a quick drink. We walked from our hotels down to Downtown Disney. It turns out a lot of the bars and restaurants actually close early on Thursdays (again, this is probably something that varies based on season). We found the piano bar was still open for about another hour so we had a seat and ordered some drinks. What a fun bar! We sang along to Sweet Caroline and Don’t Stop Believing like superstars. Yesterday was our Disneyland/California Adventure day. We started the day off with a character breakfast at Disney’s Grand Californian hotel. I had heard mixed things about these breakfasts with regards to the quality of food. Personally I was really impressed with the buffet. It’s comparable to any nice all inclusive resort I’ve visited with a good selection of both healthy and unhealthy options. There were no Mickey waffles available on the buffet line, they are included though, you just have to order them separately. I really enjoyed being able to meet characters while I had breakfast. The best part was watching a little girl dressed as a princess offer Turk from Tarzan her banana. Kids are always 10 times cuter when they’re at Disney! After this we toured all 3 Disney hotels which took quite a bit of time and we were all anxious to get to the parks. I’m so glad we did tour them all though because we got to view the Adventureland Signature Suite. This room was UNREAL. Honestly the very best hotel room I’ve ever experienced. Think about a theme room at Fantasyland hotel in Edmonton, then think about the old Adventurer’s club bar that was a part of Pleasure Island at Walt Disney World. Combine the two and you get the Adventureland suite. When you ring the doorbell the masks on the wall let you know that someone is at the door (chanting in a creepy loud song). There were two bedrooms plus a day bed situation in the main living area. A handful of bathrooms including one with a sauna. But it’s just the decor that blew us all away. We were told that it is about $2500 + per night, but if you happen to have a money tree I say DO IT! We had a reserved area to view the World Of Color show which was really nice to have. There is not really a lot of actual seating for World Of Color which is a bit frustrating as it’s a fairly long show at the end of the day. Everyone’s legs and feet are tired by this point. I saw a lot of kids on dad’s shoulders. The show was beautiful but I think I still prefer Fantasmic as a fireworks alternative. I do recommend checking it out if you’re there though. You might as well since all of the rides near the lake are shut down well before the show and during the show. They do restart the rides after. A good tip we learned is that as long as you’re in line for a ride when the park closes you will still get to ride that ride. So you don’t need to run out of the park as soon as the fireworks or show ends, you can get one last ride in and avoid some of the crowd craziness trying to get out of the park. We started our day driving to Universal Studios Hollywood from Anaheim. Los Angeles traffic is as bad as everyone has told me. I did get a glance at the famous Hollywood sign on the hills, but due to the smog amongst the city I wasn’t able to grab a picture of it. We had the “Front of The Line” pass at Universal Studios. If you are willing to spend a little bit extra to enhance your visit to Universal studios I highly recommend it. It is about $50.00 more, but gains you access to a premium secondary line which gets you on the ride much faster. It is great if you are running a bit low on time or if it is busy in the park. Definitely do the Studio tour, this is the trolley ride through King Kong, Jaws and the back lots of TV and Movie sets. The tour lasts 45 minutes, and it really gets you into the Hollywood blockbuster spirit. We stayed for half a day but a full day is what you need here. After Universal Studios we drove back through LA to Disneyland Parks. We had made it there for the first night of Halloween themed Disney. The park was transformed into a classic Halloween feel and the nightly parade was going through the crowd. It definitely brought back memories of Halloween as a child because even in early October almost all the guests were dressed up in Halloween costumes for the evening opening. After a few rides in Disneyland Park we walked right across to California Adventure Park where I went on the Tower of Terror ride back-to-back. 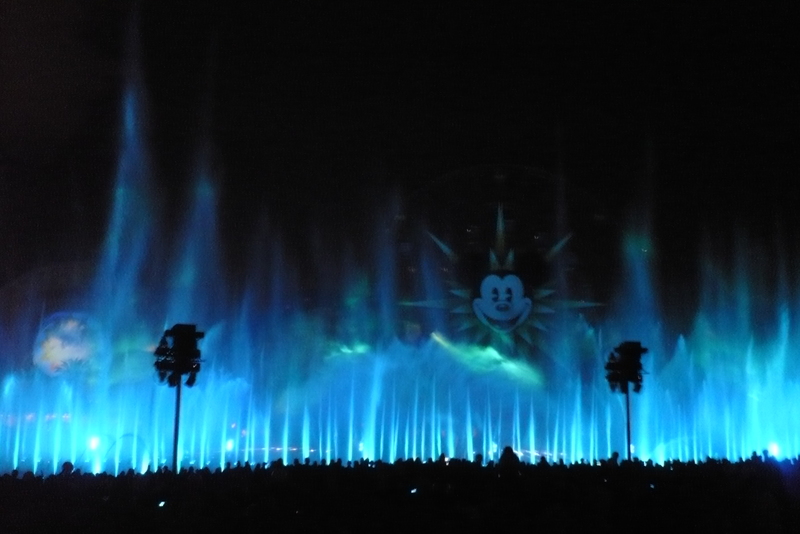 There is a new night-time water and light show called “World of Color”. I definitely recommend this twice a night showing of Disney movie clips using projected clips onto water mists and illuminated jets of water being shot high into the air. To get a good vantage point of the show make sure you get a Fastpass ticket for the show at the Grizzly River Run Fastpass service machines when the Park opens. We toured all three hotel properties on the Disneyland Resort. Disney’s Grand California Resort and Spa has the complete look of a forested lodge retreat with a private access to Disneyland California Adventure Park. All three hotels have a character hosted buffet breakfast buffet. I definitely filled my stomach with a variety of things; including far too many Mickey Mouse shaped waffles. The Disneyland Hotel offers a bit more of a contemporary and sophisticated style of rooms. It also has some pool renovations happening at the moment but I would love to see how the pool will look in November 2011. The Paradise Pier Hotel is a very bright hotel that would be great for kids that still want to feel like they are in the park – even when in their hotel. Before catching my flight back to Saskatoon from Los Angeles International airport I took a sunset walk down the Venice Boardwalk. What a fantastic time I had. I will definitely come back to California; there is so much to do in this area and I just kind of belong here. I left Saskatoon nice and early on my flight to Los Angeles. I had one connection in Calgary, which was fairly straightforward. I followed the signs to the United States connections and the arrows on the floor to the connecting US flight baggage claim to take it through to customs. I flew with Air Canada the whole way and had TV entertainment with my flight from Calgary to Los Angeles. I was picked up from right outside the baggage claim in the centre pick up island by the colourful Disneyland Resort Express. Be sure to pay attention to which Transit Company is picking you up as they will pass you by if you do not signal them or make it clear they need to pick you up, (they have many stops to make at LAX). From LAX airport my bus ride was about 40 minutes to Anaheim, (traffic depending). My room at the Marriott hotel in Anaheim is spacious and nice. Our first stop for the evening was Medieval Times, a fantastic dinner show that really takes you to another time. Medieval weapons, horses, battles, and theatre set the mood for a chicken feast that you have to eat with your hands. The following morning we stopped into the Anabella hotel for a tour and breakfast. This mission style boutique motel is a great choice for a stay in Anaheim, the rooms and size of this hotel are ideal; it has a great location being close to Disneyland Park. Only a 10 minute drive away we were off to Knott’s Berry Farm. Learning about the origin of the park was very interesting. Who knew it all came about from a Boysenberry plantation then later on a busy chicken dinner restaurant? My favourite ride was the Xcelerator. Going from 0-132 km in 2.3 seconds is my kind of thrill ride. During the Halloween season they have opened up the night time Knott’s Scary Farm. We were only there during the day but got a sneak peak at one of the spooky mazes. I know the night time park would spook kids as well as adults. They have done a great job with the decorations and the whole theme of the park. Harbour Cruise was only $14 per adult, and $7 per child which is a great value for the seeing massive yachts and ridiculously large past and present homes of the famous. We finished the night off on Newport Beach at the Hilton Waterfront Beach Resort for dinner and a s’more dessert offered by the hotel, fireside on the beach across the road from the hotel. 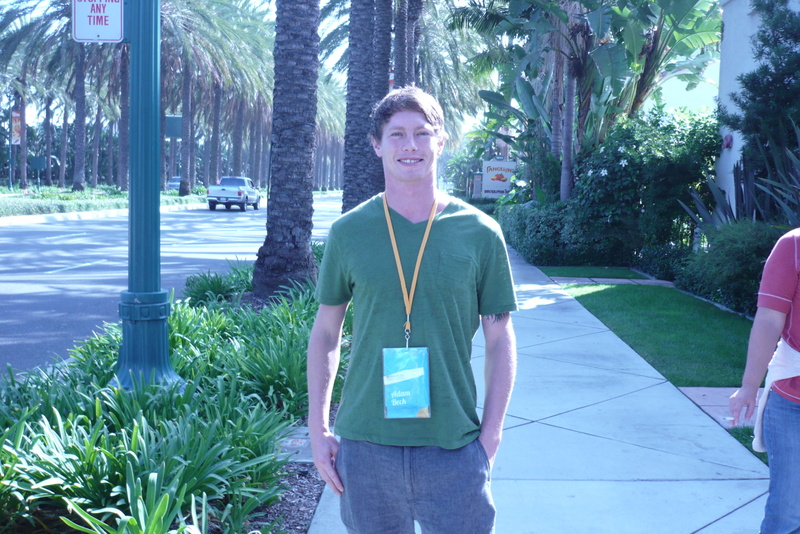 I am loving California – I knew I was going to. There is a lot more to explore, I have not even been to Disneyland yet! That is to come tomorrow!